Los Angeles running back Todd Gurley scored three touchdowns and rolled up 152 rushing yards when the Rams shellacked Seattle, 42-7, last weekend. That performance was good enough to earn the former first-round draft pick NFC Offensive Player of the Week honors for Week 15. The breakout performance shouldn’t come as any surprise – Gurley (1,187 yards) is the third-leading rusher in the NFL, behind Steeler Le’Veon Bell (1,222) and Chief Kareem Hunt (1,201) – and he anchors the fifth-best rushing attack in the NFC. 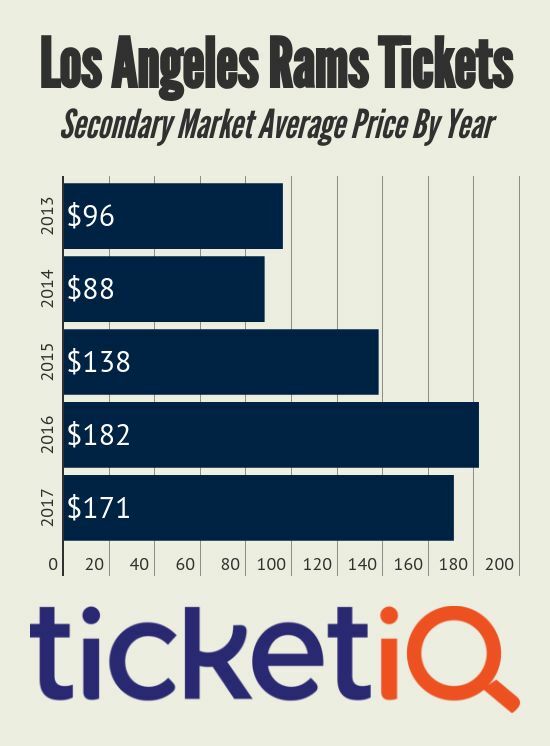 That excitement, along with the fact that the Rams are sitting atop the NFC West, are enough to make the average cost of a Rams ticket this season the second-highest in five seasons, according to TicketIQ.com. 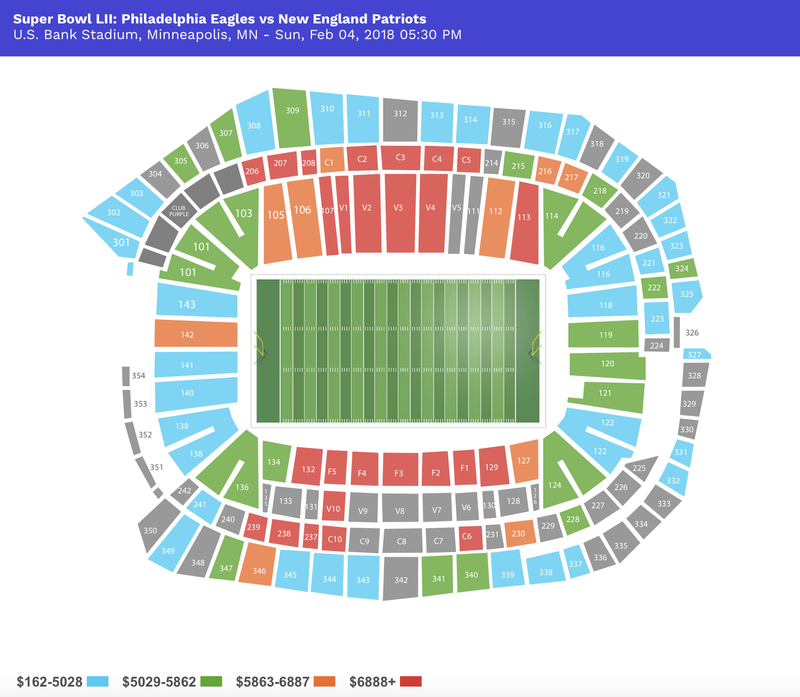 The average price of a ticket this season is $171. Only 2016, when the Rams returned to Los Angeles after 20 seasons in St. Louis, was the cost of a ticket higher ($182). Rams tickets are the 21st most expensive in the NFL this season. Over the last five seasons, the average cost of a Rams ticket has fluctuated -- $96 in 2013, $88 in 2014 and $138 in 2015, the Rams final season in St. Louis – before comfortably breaking through the $150 mark last year. Considered a 10/1 shot to win the Super Bowl, the Rams are 10-4 and have one home game remaining – a New Year’s Eve affair against the rival San Francisco 49ers, who at 4-10 are in the last place in the NFC West. According to TicketIQ.com, the current asking price for that game is $164. The Rams are at Tennessee Sunday. Los Angeles can clinch its first playoff berth since 2004 with a win or a tie or if the second-place Seahawks lose or tie. The Rams playoff drought is the third longest in the NFL. If you want to catch the final game at the Los Angeles Coliseum on New Year’s Eve, TicketIQ.com has tickets available in its Low Price Guarantee listings for $139 in Section 14L high above the Rams end zone or in Section 22H in Row 35 for $558 on the visitors’ sideline.